Democracy means voters choose their politicians. Current New Jersey law lets politicians choose their voters. Redistricting is a process that happens every ten years after the Census, taking new data and using it to draw district boundaries on maps. It is meant to allow districts to accurately represent how the population has moved and changed - which means that we don’t have district maps that look like the original ones from 1790. Unfortunately most states, including New Jersey, put the power to redistrict in the hands of politicians who use the redistricting process to solidify their power. 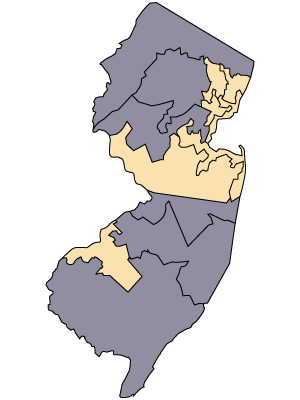 In New Jersey, state legislative districts are drawn by a 10 member commission that is appointed in equal numbers (5 Democrats and 5 Republicans) by the chairs of the state Democratic and Republican committees. 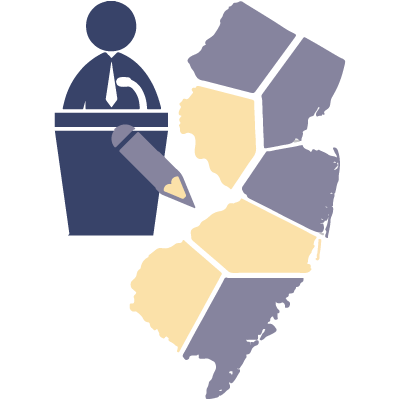 Unlike some other states, New Jersey’s legislature does not directly participate in the redistricting process, but does appoint partisans, including currently-serving legislators, to the commission. This means that elected officials or people deeply involved in party politics are charged with drawing the districts. 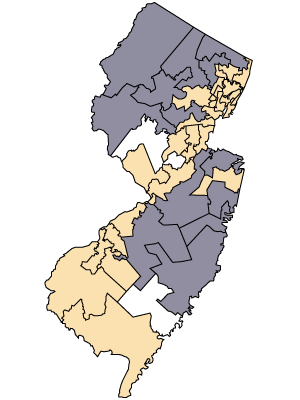 When the commission cannot agree on a map, an 11th member tie breaker is appointed by the Chief Justice of the New Jersey Supreme Court. The commission charged with drawing the congressional districts is also partisan. It consists of 13 members chosen by the Senate President, Assembly Speaker, minority leaders of both houses, and party chairs. The 13th, or independent, member is appointed by a majority vote of the 12 appointed members. This system is deeply partisan and is missing the voices of unaffiliated and third party voters. New Jersey faces a unique challenge because, unlike most other states, we hold elections the same year the legislative map must be certified. This means we receive the census data we use to draw our maps typically in January or February, and our legislative maps must be certified in time for the filing deadline for primary elections in April. We have only a couple of months to draw our legislative districts. This leaves a limited amount of time to take public testimony into account, often rendering inconsequential any citizen participation in the process. Citizens do not see proposed maps before commenting, and there are not enough public hearings.